The teacher tribe movement is in full force and some kindergarten teachers have formed the Kinder Tribe blog! 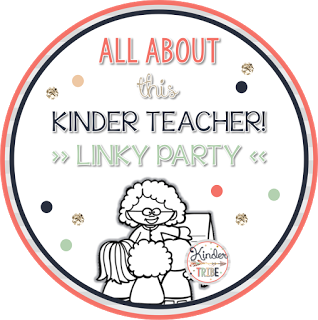 And today I'm linking up with their Kinder Tribe Linky Party! I have been teaching elementary school for 14 years! Yikes! And before that I taught preschool for 6 years! Holy Cow! Makes me feel OLD! OK, not that old! Hahaha! I have taught 2nd and 3rd grade, and am currently in Kindergarten! I carry my water everywhere! And can't live without it! Mr. Sketch scented markers! Right? Caps for Sale. I love this oldie, but goodie! My students love acting out this story. They love to stomp their feet and pretend to get mad at the monkeys! And they love to play the monkeys and shake their fingers at the peddler! One of my favorite Kinder blogs is KinderGals! Kim Adsit is A-MAZ-ING!!! Go check her out! I LOVE teaching Kindergarten, because I am really just a kid at heart! Here I am in Kinder! I still feel like this little girl! LOL! I too am a HUGE water drinker!! Luckily at our school we can get ice from the cafeteria and we have spring water delivered each month, so I don't have to worry about the taps!! I LOVE 'Caps for Sale', what a wonderful book choice!! Who doesn't love Mr. Sketch?? :-) I'm on the hunt for the ice cream scented markers! Thank you so much for sharing about yourself, it's great to learn more about you! So glad to have 'met' you through this journey!! I would love to have ice and drinking water at school! 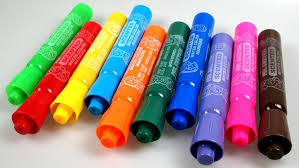 Ice cream scented markers?!?! Hmmm... Thanks for stopping by! Oh Kay- you're a teacher after my heart!!! 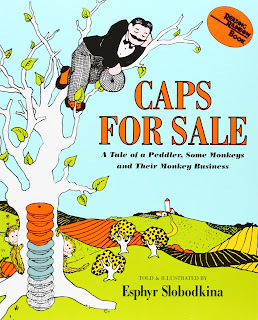 I LOVE "Caps for Sale"- as soon as I read that I thought back to reading it when I was learning how to read. It's an oldie, but goodie!! It's always one of those books I read and smile. You had me at Mr. Sketch markers- obsessed!!! Thanks so much for sharing a little about you. I can't wait to read more on your blog! 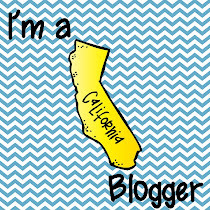 Glad you came by the blog! Nice to meet you Annie! I am going to pop over to your blog! Our school mascot is a lion, hence the name of my blog! My rule: You can never have too many Mr. Sketch markers!! Thanks for linking up with us :) Love our Kinder Tribe!!! Great rule!!! Thanks for visiting! I have never heard of that book so I will definitely check it out!